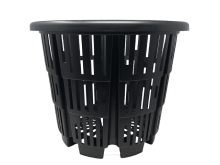 RediRoot containers are heavy duty planting containers that utilize a process called air root pruning to achieve healthy, vigorous root development. 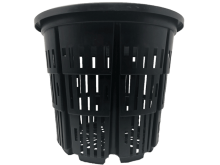 Our innovative design offers 360˚ aeration to produce a well branched, fibrous root system ready to explode with new growth after transplant. 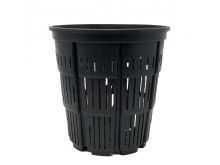 Virtually eliminates transplant shock resulting in less plant loss and faster first year growth. 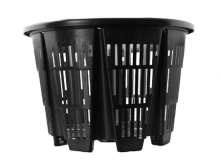 360˚ aeration produces a dense, fibrous root system ready to explode with new growth after transplant. 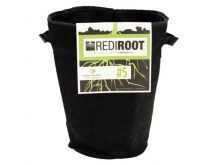 Strong and fibrous root growth naturally promoted by the RediRoot system encourages rapid nutrient uptake ensuring stronger, healthier plants. 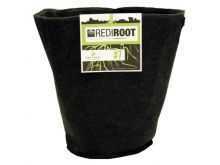 RediRoot's unique design helps to maximize root health which translates into bigger, healthier plants and trees.